Everyone loves real flowers, but if you’re but if you’re crafty, there are numerous ways to personalize your “floral” design. For example, Karen Bussen, an event expert and author of the “Simple Stunning Wedding Flowers” (Stewart, Tabori & Chang, 2007), suggests making all your bouquets out of ribbon remnants, coiling the pieces into rosette-style shapes and wiring them together. 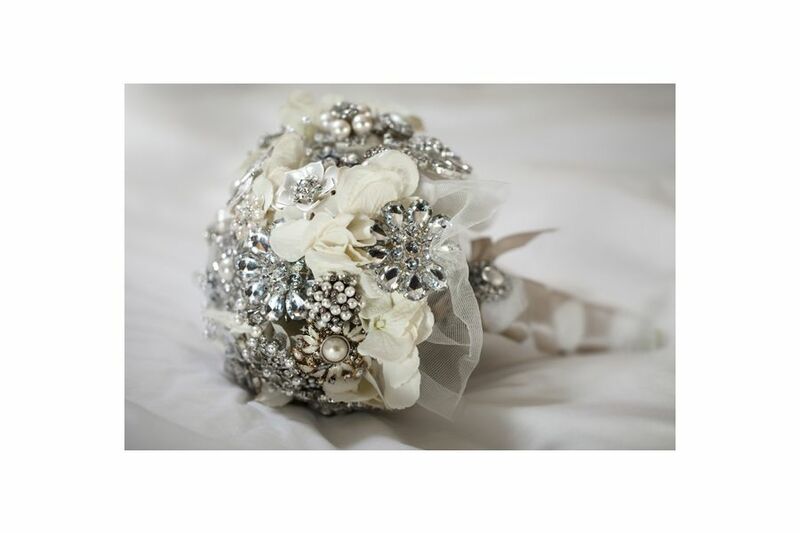 Or you could fashion the bride’s bouquet and groom’s bout out of vintage brooches or buttons. Paper blooms provide a rustic look, while fluffy ostrich feathers feel elegant. “Just make sure your bouquet suits your dress and the overall spirit of your celebration,” Bussen says. As for alternative centerpieces, Bussen recommends collections of different candles (pillar, votive, even floating), stacks of favorite books, vintage picture frames, or mixing and matching these elements. Want a more natural vibe? Rachel Bowes, owner of Seattle-based Finch & Thistle Event Design, likes piles of gourds and pumpkins in the fall or seasonal fruit in clear vases for a modern look year-round.